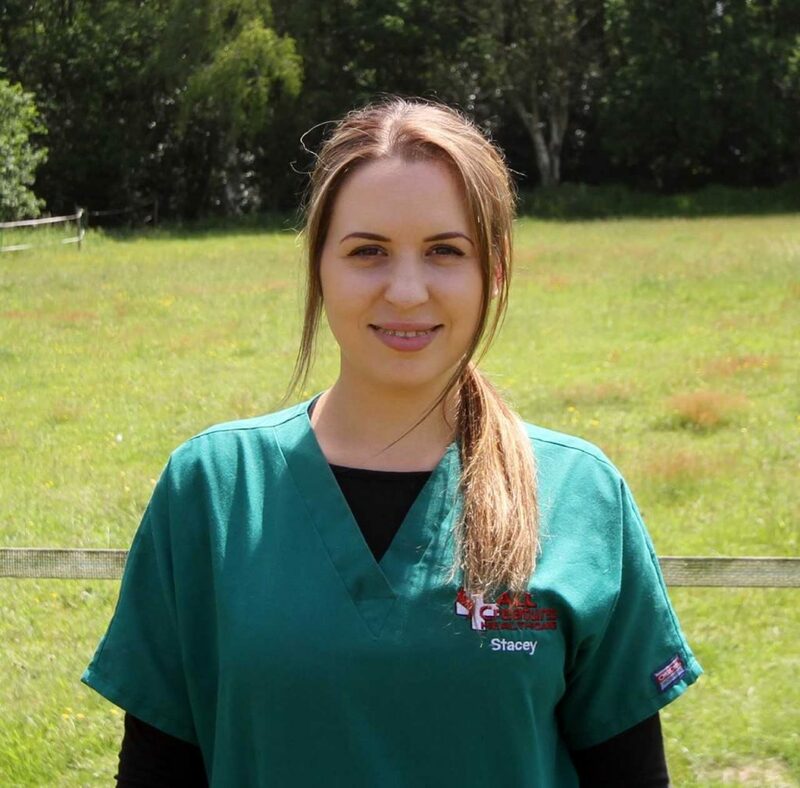 Stacey has been at All Creatures since November 2017 but has previous experience working within a veterinary practice. Stacey was inspired to work with animals ever since she started working with them when she was travelling in Australia. She is currently undertaking a VCA course and will start her Student Nurse training in September. Stacey enjoys being in theatre, loves learning about exotics and is keen on learning more about dog training and behaviour. In her spare time she enjoys travelling, cooking, reading and taking long walks with her handsome Dogue De Bordeaux, Winston.